Earlier this year, on the anniversairy of the battle of the Somme, our local historians alerted us to the London War Memorial. This is an online database of the thousands of Londoners who died in WW1. 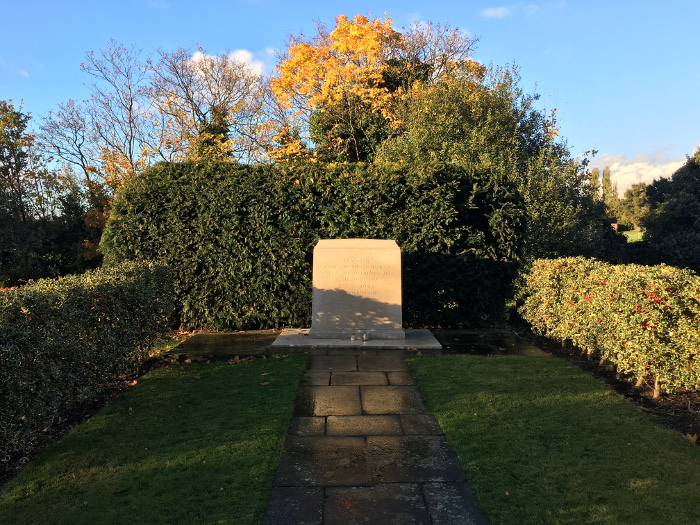 On Armistice Day, we thought it would be a good opportunity to remember the 1,000 men of Kilburn and West Hampstead who died in WW1. Of those listed online, only 81 had identifiable local addresses, many in Kilburn. You can find out a bit more about them by going onto the database and searching using name or location. We thought it would help bring it closer to home to see the street, name and age of the soldiers when they died. The amount of information on each soldier varies considerably, but for those who were known to have died in specific batttles, more detail is given. For example, Victor Hough who lived at 74 (or 4) Linstead Street (or Road) was a private in the 2nd East Surrry (2nd batallaion, East Surrey regiment) died on 27th April 1915 in the battle for St. Julien. “On 25th April the main German attack fell on the spur between the main Ypres ridge and a stream called the Strombeek, where 2nd East Surrey and 3rd Royal Fusiliers were in the line. It started at 5am with an artillery bombardment. Shrapnel swept the bare slopes for 4 hours after which came gas and high explosive. At 1pm, from trenches only 70 yards away the German attacked the right of 2nd East Surrey, on a ¼ mile stretch between the top of the ridge and the railway cutting. They broke in at several places but elsewhere they were either captured or driven off. In the centre of the line a company of 8th Middlesex moved up in support but the Germans remained in occupation of 60 yards of breastworks on the left where all the officers had been killed. Two attempts to dislodge them (at midnight and at 8.30am on the 26th April) failed despite the help of two companies of 2nd Shropshire Light Infantry. To prevent further German progress a trench was dug round three sides of the captured line. 2nd East Surrey suffered over 200 casualties on these two days. On 27th April 2nd East Surrey again tried to expel the enemy from the positions they had captured two days earlier but to no avail other than the deaths of another 14 men”. Victor Hough, of West Hampstead, was one of the 14 who died. For nearly 2 weeks the fighting continued on this front. The Germans persisted with their attacks, the British fought desperate rear guard actions and launched many counter attacks but gradually they were pushed further and further back. Eventually, during the night of 3rd & 4th May the British forces were withdrawn from their forward positions and took up a new defensive line closer to Ypres”. He is remembered at St. James Church here in West Hampstead and also at the Menin Gate in Ypres. He was 24 years old. Charles KING (20), 85 Broomsleigh St.
Refurbished Emmanuel Church gives homeless a warm welcome What will the redeveloped O2 carpark look like in ten years?